Reports suggest that UK has been experiencing an increase in the number of BMWs stolen this year. Over 300 cars have already been stolen without activating car alarms and immobilizers. Suspicions are high that the car thieves use devices to plug into car’s OBD port that end up programming blank key fobs. The stealing procedure is more or less common amongst the car thieves. They first enter the car by either blocking lock signals from the fobs using RF jammers, or by breaking a window. Thieves usually break the window so that they can avoid tripping the alarm, as this method exploits a gap in the car’s internal ultrasonic sensing system. Following the exploitation of the flaws in the car’s safety system, thieves connect a device to the OBD-II connector. This gives them admission to the car’s unique key fob digital ID, following which they can program a blank key fob to work with the car. Just like the BMW, many luxury carmakers in Europe have to permit open and unsecured access to OBD codes. This open access lets unauthorized mechanics read the codes too. Apart from this, it is being speculated that better supply of blank BMW key fobs is actually the source for the soared BMW car thefts across UK. 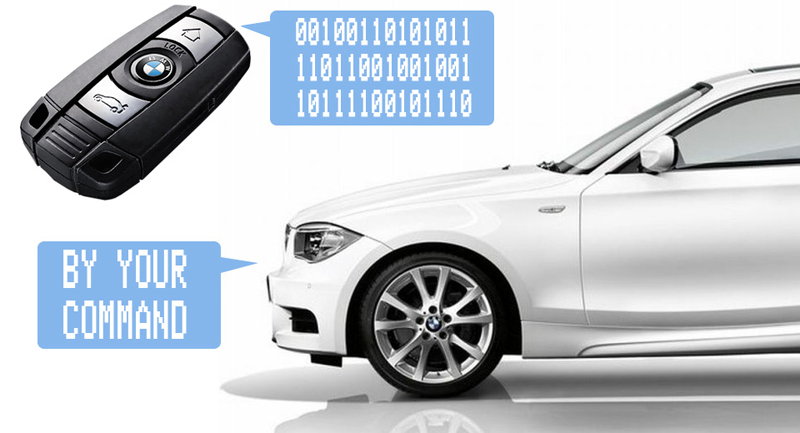 The supply of blank key fobs for any BMW car is done by reprogramming the available used key fobs of the same model. BMW has been reported to have pointed such car thefts and thieves’ entry into BMW cars as an out of control act and has asked not to blame the carmaker. Moreover, the company said that it is working with the police to monitor methods of the car theft and ensure ways for possession of the car by its actual owner. In case electronic key fobs are provided, a better security system for the same must be ensured so that it cannot be duplicated. Introduction of PIN or password may help the security system in a better way.